Ah, Buena Vista Street. How do I love thee? Let me count the ways. 1. Los Feliz Five and Dime. 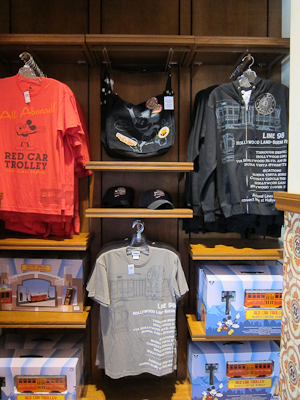 Just like Main Street is a shopping street, so is Buena Vista Street. 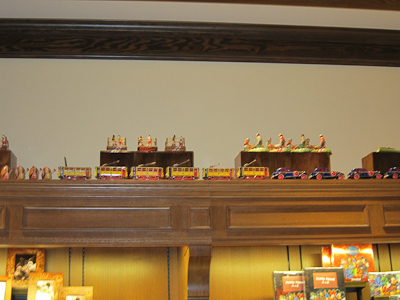 But unlike Main Street, Buena Vista Street’s stores are all interconnected throughout the whole street. 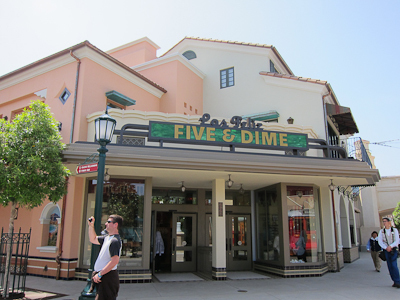 On the East side, you start with Los Feliz Five and Dime. 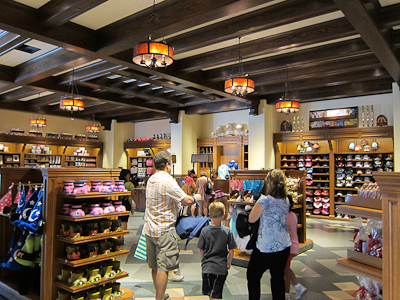 Anyway, Los Feliz Five and Dime is your go-to hat store on Buena Vista Street. 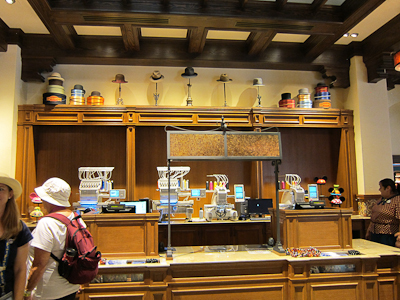 There you will find your hat writing machines, for all of your hat writing needs. 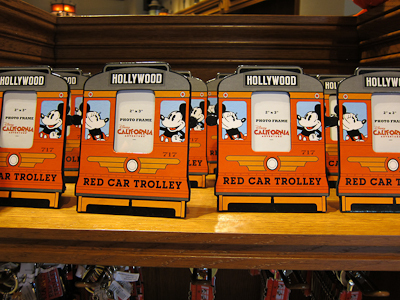 Los Feliz Five and Dime is also your destination for Red Car Trolley merchandise. 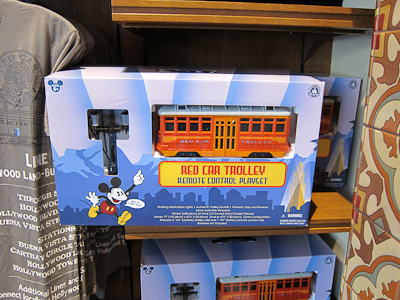 Remote control Red Car Trolley, whaaaaattt??? Actually I think Kevin might like that as much as Theo would. Theo recently got a remote controlled Lightning McQueen for his half-birthday that he loves. Mostly I think he just gets a kick out of driving it under furniture and then reversing it to drive back out again. Although he is getting relatively adept at turning. Well, he was, until we had to take it away because he wasn’t doing something he was supposed to do (I can’t remember what, but he had a choice–do it or lose Lightning McQueen). I think I’ll be nice and give Lightning McQueen back tomorrow. 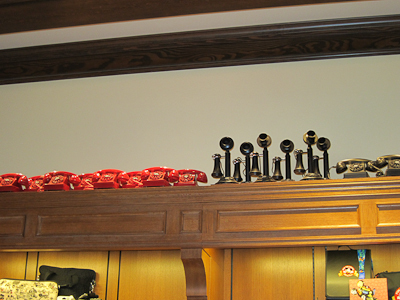 ANYway, I also love that Buena Vista Street honors Disney history. 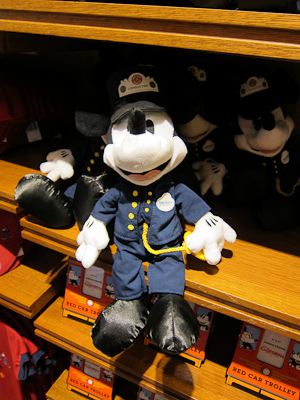 We’re so used to the modern Mickey, it’s really fun to see a plush version of the original Mickey. I feel like I might need to own that. And when you’re in ANY Disney store, don’t forget to LOOK UP! 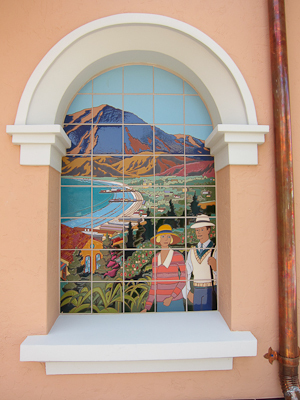 You guys are going to love Buena Vista Street when you get a chance to see it! 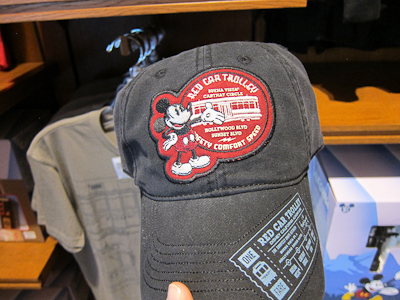 Yeah, I think I might need to own that conductor Mickey too.